I actually had a chance to make a couple things yesterday. Here's a layout that I created for Halloween. I used SEI's Eerie Alley paper pack and embellishments. I love that the colors matched Brendan's costume and the spiders matched Austin's. The spider ribbon was a fun added bonus. I need to get busy and make lots of cards. I need to do Christmas thank yous and get together a stash of birthday cards to have on hand. I was playing with my Doodlecharms Cricut cartridge last night and made these cards. The papers are SEI's Dill Blossom collection. The sentiment is CTMH. 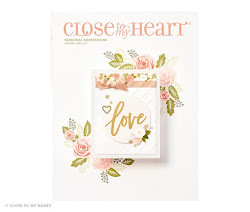 I'm anxiously awaiting my Close To My Heart order (AKA my Christmas present to me) with all the fun new products, including the new cupcake stamp that I am so excited about. In the meantime, these will have to do. We had a great time in Seattle. The weather was kind of crazy. Friday night and Saturday were nice. Sunday it poured rain on us while we were out and about. Monday it was so windy and cold that we ended up going to the airport a couple hours early because we didn't want to be out and about anymore. We stayed downtown, so we walked everywhere. This trip should definitely help with any holiday weight--LOL! Sadly, I didn't take very many pictures. I don't know why. We definitely want to take the boys back this summer. Everywhere we went, we kept saying, "The boys would love this!" It was so nice to have a vacation where nothing was planned. We got up when we wanted, wandered around until we found something fun to do, ate tons, drank lots of Starbucks and Seattle's Best, and enjoyed our no kids time. Saturday we saw "Seven Pounds", which sadly, I did not like. Wish we would have seen "Benjamin Button" instead. Sunday we rode the monorail down to Seattle Center and walked around. It started raining, so we went to the Sci-Fi Museum and Experience Music Project. We enjoyed it. Here's a little view of how drastically the weather changed. Here's the Space Needle when we got there. Here it is 20 minutes later. Monday, we packed up and went out into the wind. I'm not even sure you could describe it as wind. It was hard to even stay upright. While we were waiting for the light, one of the windows in the building across the street actually blew out, sending a shower of glass everywhere. We ate and then went to Seattle's Best to enjoy a drink and get out of the wind for awhile. After that, we decided to go back to the hotel and head to the airport rather than walk around more. This was our favorite eating spot. Mike had found it when he was in Seattle for training a while back. Yummy!! They even have a website http://www.piroshkybakery.com so you can drool over all their goodies. All in all it was a great trip. On a side note, I have to say that I am extremely grateful for the kindness of strangers and the goodness of people. We had to brain dead moments that could have ruined our trip if not for honest people. Saturday, Mike left his bank card in the ATM. Some wonderful person turned it in. Monday, I left my purse in the coffee shop and didn't realize it for a half hour. When we went back, someone had turned it in, with my wallet, camera, phone and IPod still there. I hope those random acts of kindness and honesty are returned to those two people tenfold. I'm glad you had a great anniversary! Next time you come into town, we should meet up! Love the halloween layout! For whatever reason, those always seem hard for me to do.